On Friday, there is a baby sprinkle at a friend's house. At church this past year, 5 women have had/are having babies, but only four of the women will be at the shower. The fifth had her baby earlier this week. One person said, "That the shower is not a sprinkle; it's a thunderstorm." 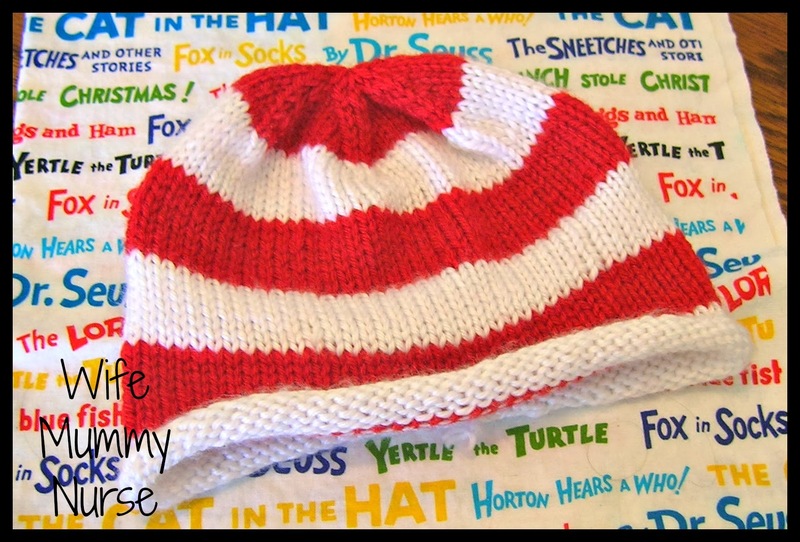 I decided to knit a "Dr. Seuss" themed hat using the Basic Baby Hat pattern, but I have been told it looks like a "Where's Waldo?" hat instead. Not what I was going for, but I'm not going to change the gift last minute. Tomorrow, I hope to sew a bandanna bib using the fabric behind the hat. 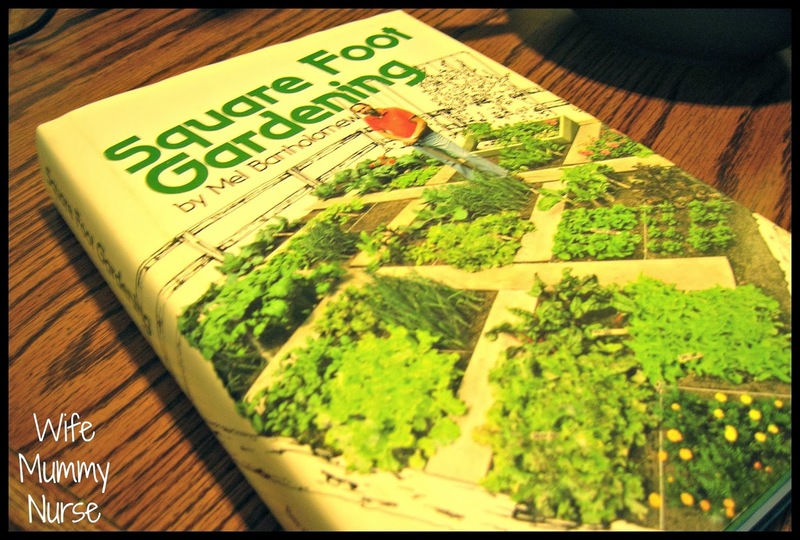 Last Thursday, I went to a thrift store with my MIL and bought Square Foot Gardening. I started reading it on Sunday and highly recommend it, especially if you want to garden, but have limited space. The summer Drew and I were engaged, I had a small 5 X 2.5 ft. area at my parents' house that my mum said I could use as a vegetable garden. I already used lots of the suggestions in this book, and it's a nice reminder that I don't need a huge space to have a garden. That is a cute hat. It's perfect for celebrating Dr. Seuss' birthday. Where did you get the fabric for the bib? So cute! Now this is the second time I've heard about a baby "sprinkle" - is this the new thing? Yes, Where's Waldo is what first came to mind when I saw the hat. Cute!